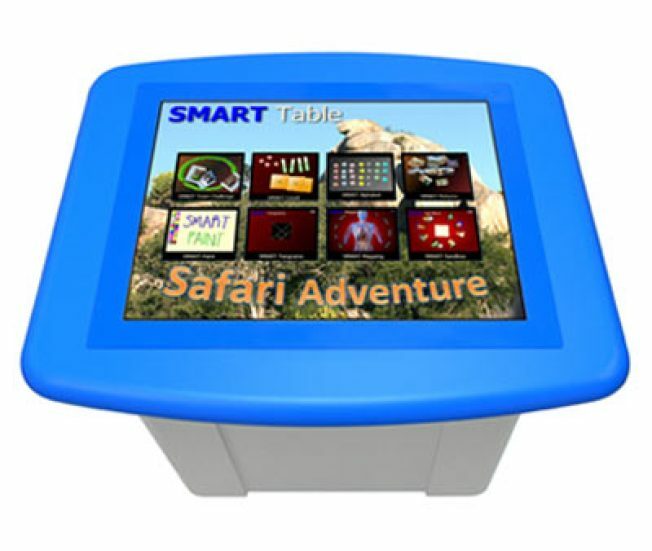 The SMART Table is the world’s first touch screen table for schools. The people behind the SMART Board interactive whiteboard, now used in more than 700,000 classrooms and by 18 million students worldwide, are now offering the world’s first touch screen table for schools. SMART TechnologiesCEO Nancy Knowlton told the Web Guys, Charlie Wojciechowski and Art Norman, “the multi-touch multi-user learning table is easy-to-use right out of the box.” She said, each table comes pre-loaded with lots of learning applications. In the studio Rae Raffingave Charlie Wojciechowski a demonstration of how a two-foot tall table with a 27-inch digital touch screen can allows up to six children to complete interactive lessons. The table is adaptive for students in pre-school through grade six.John C. Haines Elementary School, in Chicago Illinois, will be the first school in the nation to have the new technology.